18 Creative Holders and Cool Holders. 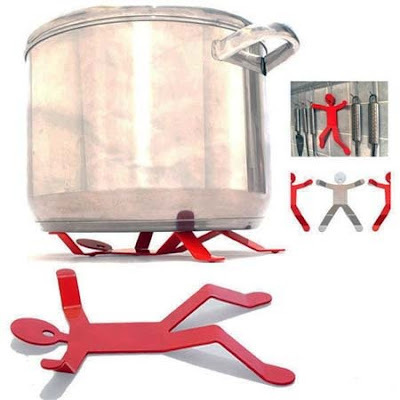 Collection of " Creative Holders and Cool Holders" from all over the world. 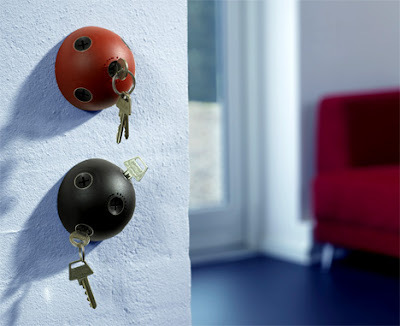 With this one, forgeting your keys should be a thing of the past. 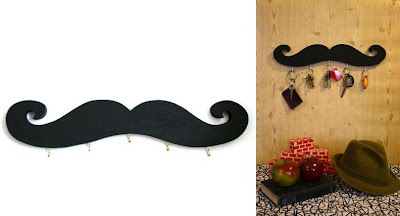 How about putting your keys on Mustache Key Holder! Here are key holders for him and her: neat and simple. 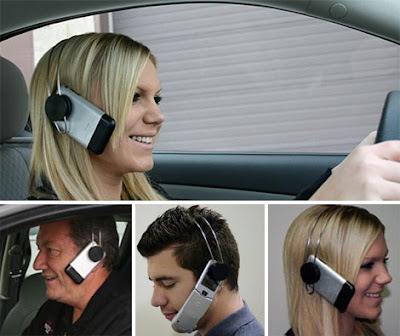 This lets you wear your phone while driving! 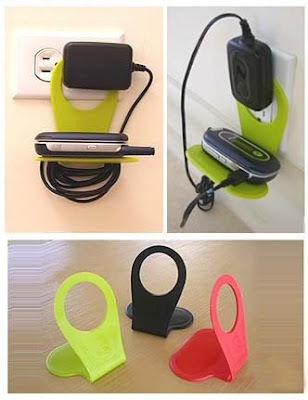 If you have been using all the old places to put your cellphone while charging, then these cellphone holders can help you organize. 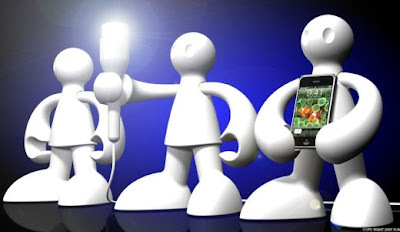 This little dude lights up the room and even holds the phone. Big Hug Adhesive Cellphone Holder is for cars especially older ones, where you usually don't have a convenient spot to put it. 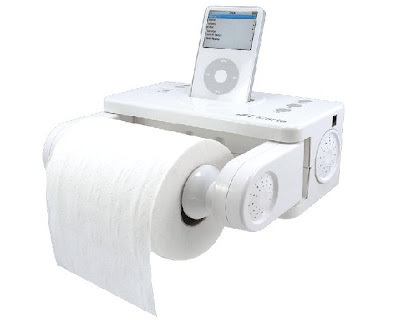 If you cant be away from your gadget even while in bathroom, then this is something which you should consider: paper holder with a built-in docking station. 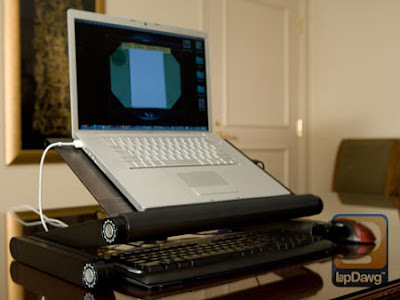 Who wouldn't like to have this portable laptop stand? 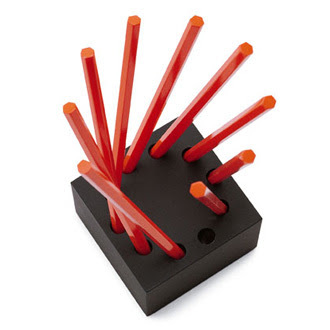 Two pencil holders, one with a square base, and the other with a rectangular base. 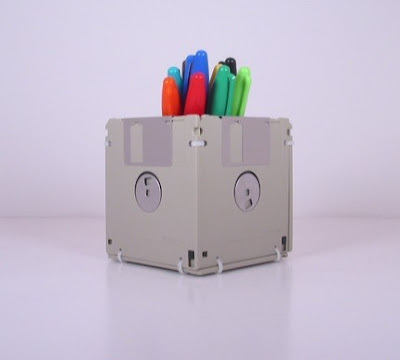 This is a cool way to use old floppies by making them into a pen and pencil holder, if you aren't interested to purchase one. Here are the instructions to make it - link. 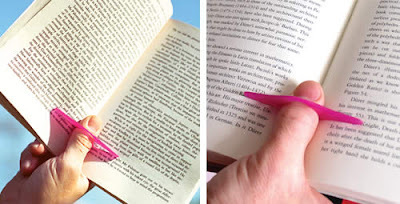 With 'Thumb Thing Book Holder' all you need is a thumb to keep your book wide open. 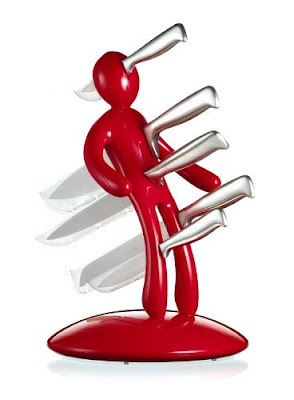 The Ex - Unique Knife Holder is a cool design knife holder. 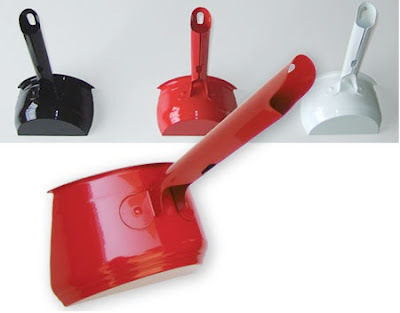 Embed these saucepan-shaped towel holders into your kitchen walls; it will definitely add an interesting decorative touch. If you have been using vinyl tablecloth for hot pots then its time to change, these potholders are just amazing. 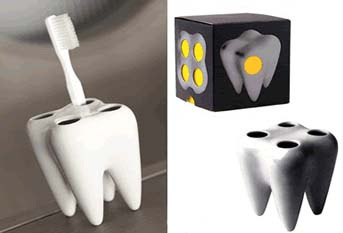 An interesting design which keeps reminding one what can happen if teeth aren't kept clean. 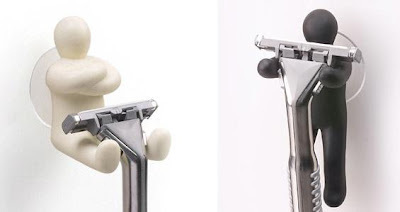 Feel Good Razor holders can help brighten up your morning with their fun and quirky designs. 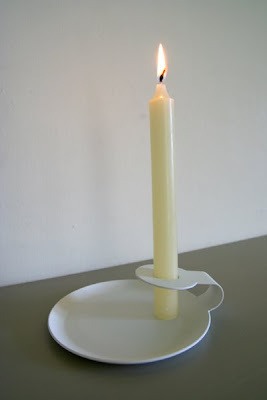 Minimal Candleholder is an unusual design candleholder. Smallest Structures Of The World. 16 More Brilliant Bookshelves And Bookcases. Winter 1972 - Living Room Stories (Poster). Vending Machines From All Over The World. Cutest Babies Photographs By Tracy Raver. Every Image Has A Sound. Snowcorn: Another Interesting Device Concept. 12 Amazing Holes In The Earth. Pool Table Made Of Glass. 252° Living Area: Mobile Mini House. Creative and Coolest Pillow Designs – Part 4. All For A Cup Of Tea.